i've got a problem with my remote backups. My settings are ok. The connection is ok. 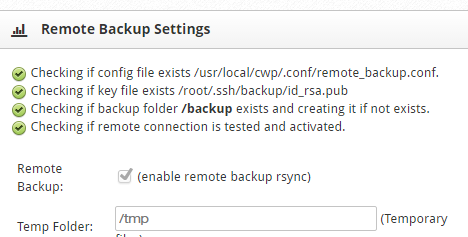 The folder structure will be created on my backup vps, but no files will be synced (cwp_remote/mysql/daily, not more). Here is a log I got from the daily cron. No backups inside backups folder!! Really need backups to work can anyone help?